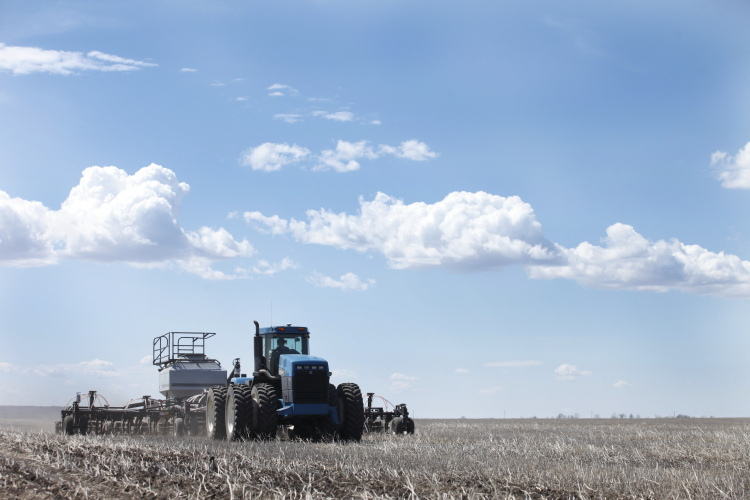 This year, let’s show our appreciation to farm families and the work that they do. 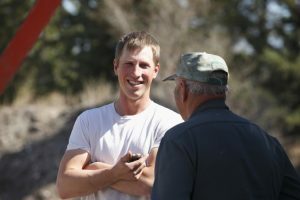 Over the year we will be featuring farmers and their stories. Today, let’s meet The Ellises! 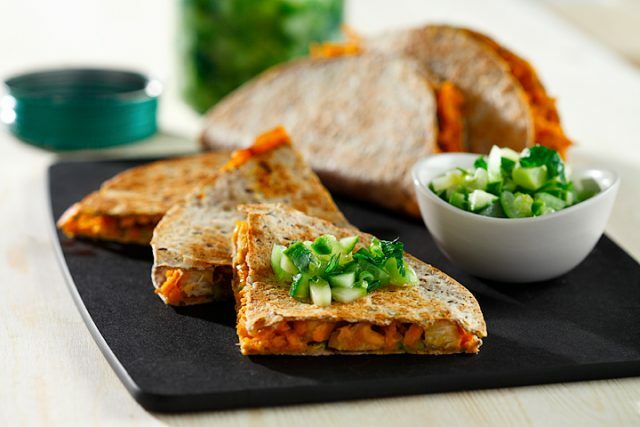 We’ve also included a recipe for Chicken and Sweet Potato Quesadilla below. We hope Simon approves! I am the fourth generation to be involved in our farm, Black Creek Farm, just north of Wawanesa, Manitoba. I graduated from Assiniboine Community College with a Diploma in Agribusiness. We are both very excited to have the opportunity to farm and look forward to the many growing seasons ahead of us. What’s your first memory about the farm? I was sleeping behind the seat of our tractor while dad was doing field work. He woke me up and pointed to a coyote that was trotting along the edge of the field. I had never seen a coyote that close before. To this day I love seeing wildlife while in the field. The farm has grown many different crops over the years. 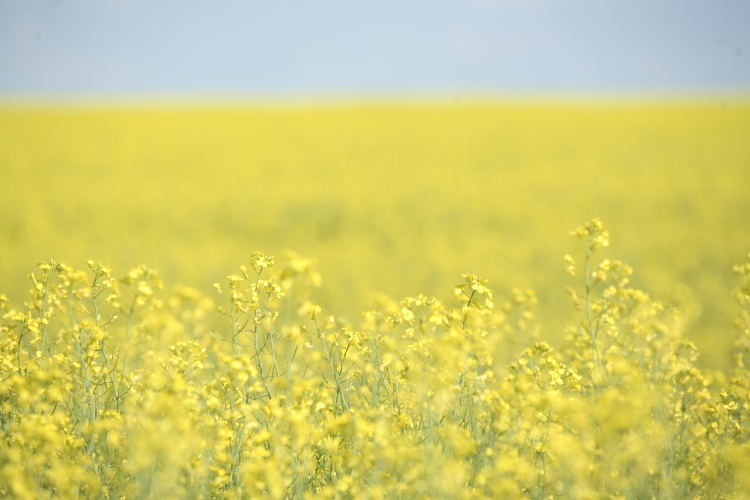 Wheat, Canola, Oats, Barley and Flax have been main crops. Others that we have grown are Soybeans, Corn, Peas, Buckwheat,Hemp, Faba Beans, Mustard, and an assortment of grasses and forage crops. 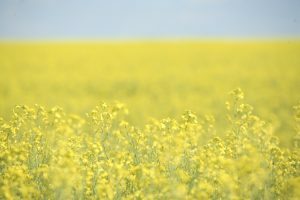 The crops we grow are often used for seed. Our family business, Ellis Farm Supplies Ltd, cleans the seed so we can sell it to local farmers. Amanda has a passion for health and fitness. After watching a few fitness competitions that she was competing in, I decided it was my turn to join in. 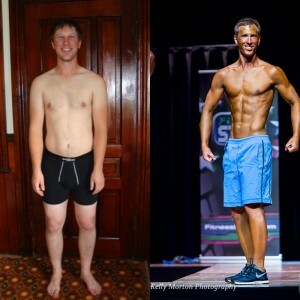 In 2012 I set my goal to compete in a competition in April 2013. The next four months I would learn a lot about myself, proper eating and fitness. I went to the gym for an hour and a half, five days a week. It was a hard road, but by April I had met my goals and was ready for the competition. Both Amanda and I participated. It was a great experience and having a goal kept me motivated. I learned to cook food that was healthy and tasted great during my journey to get into the best shape of my life! It turns out there are a lot of ways to cook sweet potatoes, chicken and asparagus. I use my passion for the arts as creativity when cooking healthy food. It keeps the food fun and exciting, and keeps Amanda and I wanting more. I have a deep passion for agriculture and love sharing my experiences with people. world changes from a dark brown and black, into a brilliant green. I know that the crop that is now growing will help to feed many people, and that is an indescribable feeling. What would you tell our readers? I would encourage everyone to meet a farmer, find out what they love about farming and to see try and experience that first hand. Walk in the field with the farmer, smell the soil, feel the warmth of the sun and listen to the wind rustling the growing plants. 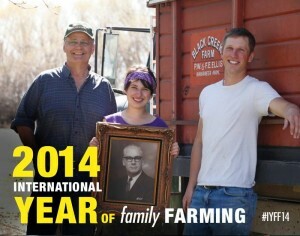 If you enjoyed The Ellis Farm Family story be sure to check out The Jackson’s or our Farmer Be Well Video Stories. Wedding picture credit goes to Tony Donovan Photography. I love the wedding picture. It’s beautiful. I’m your second cousin. I’m the youngest of Alma Ellis Wilson. Warren was by far my most favorite cousin. Although my folks didn’t visit much. I never knew the farm was called Black Creek. I think it’s awesome that you Ellis men have continued on so many years with a business that has passed from generation to generation. I have fond memories of bugging uncle Ernie askin’ Why don’t ya got horses and other animals? It’s a farm ain’t it”!! He just laughed. Good luck to you Simon. Thanks for that little trip down memory lane. Tell grampa Warren his California cousin Denise wishes him well.